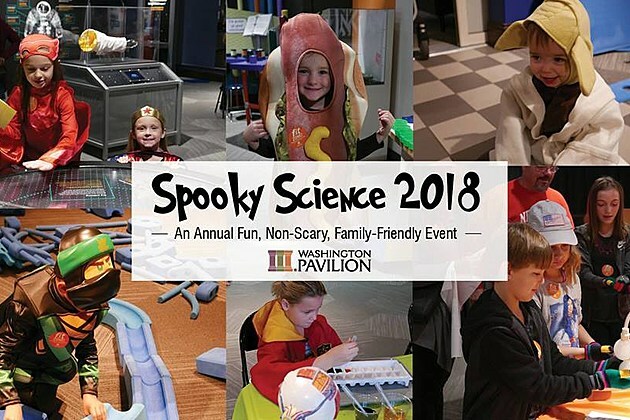 Join the Washington Pavilion for this year’s Spooky Science! Explore the wonders of science and art as you experiment, discover and create through hands-on activities for all ages. Spooky Science favorites include edible bugs, Slime-A-Tron, candy and hands-on interactive science activities and experiments. Costumes are encouraged but not required.